My house finally looks like a home. After renovating since 2009, we wrapped up all the outstanding “projects” in January. I didn’t realize I was missing something until earlier last month when I was contacted by Racheal, an Independent Scentsy Consultant. She asked me if I’d be interested in trying out a Scentsy warmer and some bars. I enjoy scented candles and thought the warmer would be great for our master bedroom where John spends a lot of his time. We have a sitting room in the master bedroom and he’s equipped with his TV and his games. Sometimes I notice it doesn’t smell so great up there after he’s been in the room for awhile. I’ve used air fresheners to try and freshen up the room. We can’t open the windows yet because of the cold weather. 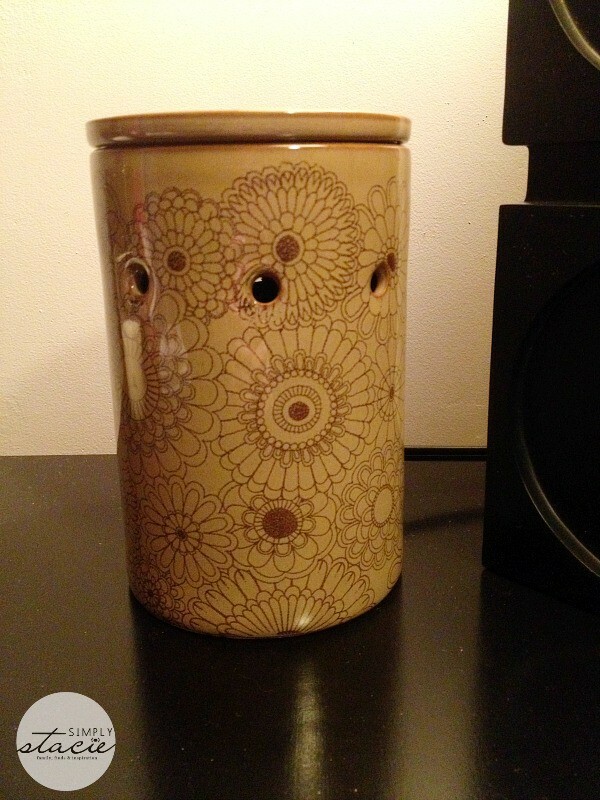 I placed my new ‘Henna’ Scentsy Warmer on his tall dresser and added the Sugar Cookie Scentsy Bar. Let me tell you the next time I went in the room, I was shocked at how much better it smelled in there! Plus, it goes perfectly with our bedroom decor. The sweet, enticing and delicious Sugar Cookie fragrance was wafting in the air and smelled amazing. I could smell a hint of it as I climbed the stairs towards the room. Not only that, but I love the ambiance of the warmer. The room was dark with the shades drawn and the only light source was the soft glow of Scentsy warmer and John’s TV. On the day of the big storm in Nova Scotia in late March, we had a snow day and spent the day watching movies. I had the warmer going while we watched movies and heard the wind howling outside. It was very cozy! 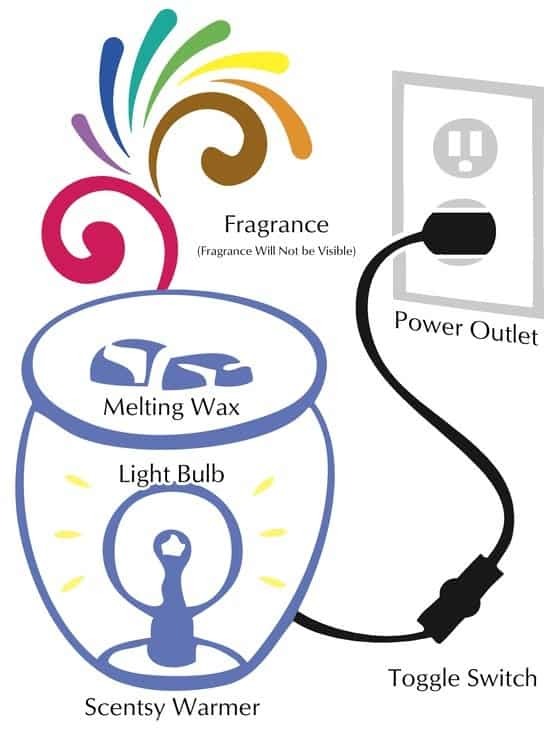 How Scentsy Warmers work is pretty straightforward. They melt the wax from your Scentsy bar using the heat of a low-watt light bulb. There’s no flame, smoke or soot like you would find with a traditional candle warmer. They plug into the wall and you can turn it on and off with just a flick of a switch. Easy and safe! The Henna Deluxe Scentsy Warmer I received comes with base and warmer dish plus the 25 watt bulb. 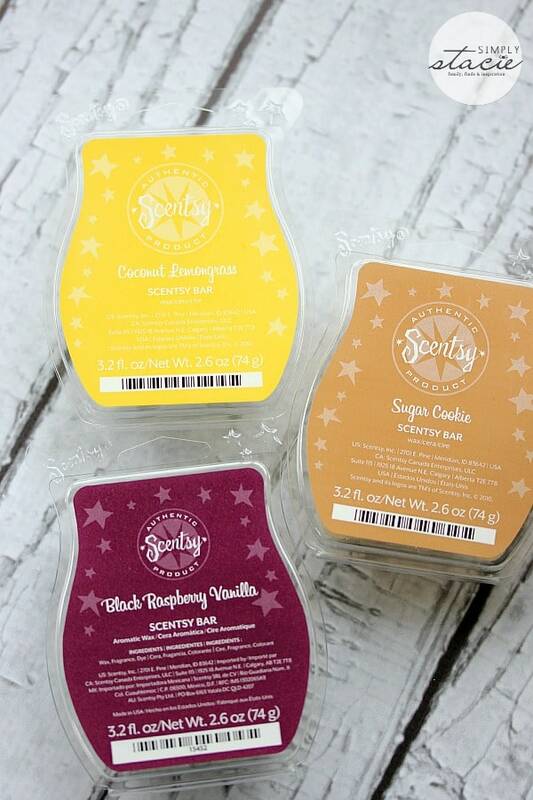 I also received three Scentsy Bars: Coconut Lemongrass, Sugar Cookie and Black Raspberry Vanilla. With two curious cats in the house, I always am nervous to light candles. My cats like to jump up on tables even though they know they aren’t allowed. 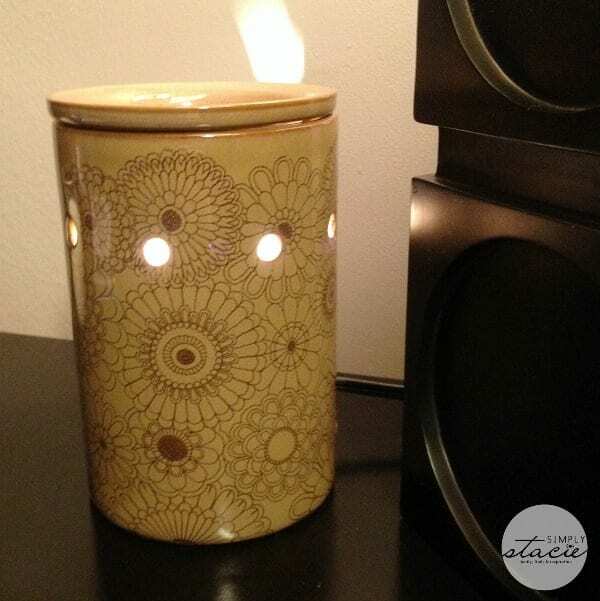 Having a Scentsy Warmer is a much safer option. My fragrance preferences have always been the food scents. The Scentsy Bars that Racheal sent me suit my preferences perfectly and smell incredible. 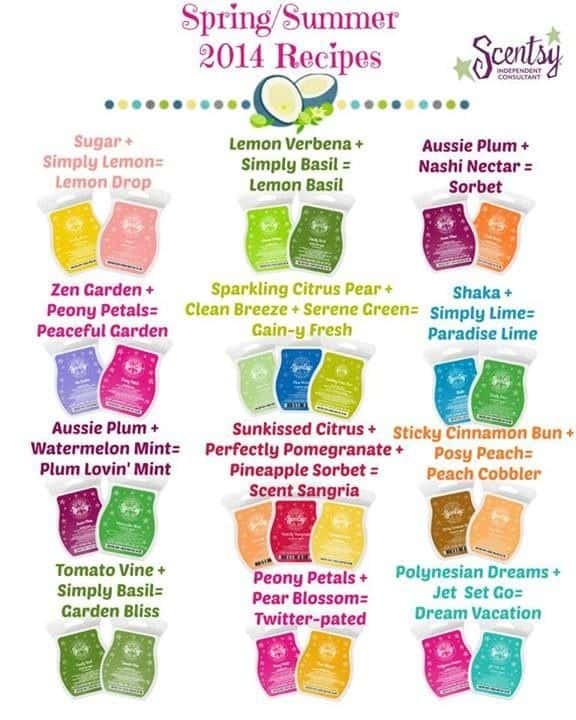 Scentsy has more than 80 fragrances so I’m sure you’ll be able to find that suits your personality to a T. My favourites are the scents from the Corner Café and Spring & Summer collections. 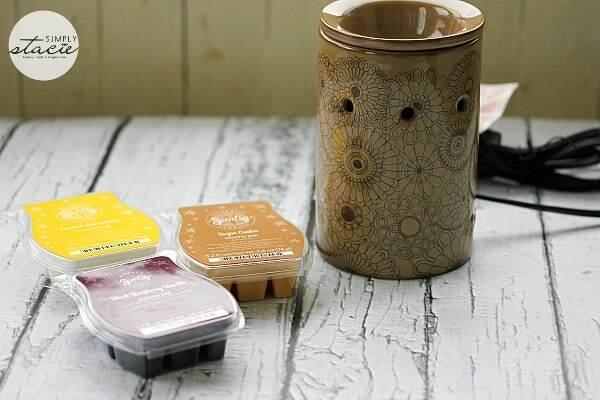 To change fragrances in your Scentsy Warmer, you just need to first melt the wax already in your warmer and then carefully pour it in the its original packaging. The wax will reform in there. Then clean out the dish with a paper towel while it’s still warm. After the wax solidifies, store the bar in a cool place to use later on or discard. The Henna Scentsy warmer is $36 CAD + tax and a 3-pack of bars is $17 CAD + tax. The bars are individually priced for $6 each. You can also get them in a bundle for a discounted price: 3 bars for $17 or buy 5 bars and get one free for $30. Take a peek at some Spring & Summer “Recipes” you can make with the bars. Which one catches your eye? I like the Believe Plug-In Scentsy Warmer. I like the Cherry Tree Scentsy Warmer PREMIUM. I’d love to have the Doodlebud warmer. The Sticky Cinnamon Bun fragrance sounds great! Simply Irresistible Layers Shower Gel… Love this product, got as a gift heavenly scent! I’d like to try the Dryer Disks. I like the Black Raspberry Vanilla! I would like the Love Scentsy Warmer ELEMENT. I love the Honeymoon Gift Bundle.